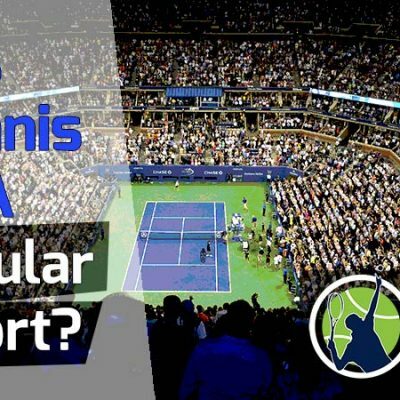 Home » Theory » Who Are The Top 5 Serve And Volley Players Of The Modern Era? 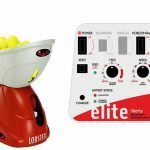 While the serve and volley game has waned in popularity over the last two decades in pro tennis, its beauty and artistry on the court has not been forgotten. 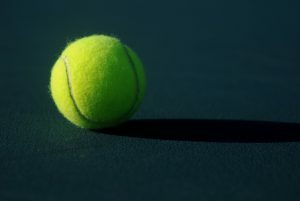 The baseline players that dominate pro tennis today are great to watch but something seems to be missing from the game. The incredible serve and volley players from years past were not only something special to see, they revolutionized the game and showed it can be won from the net with an attacking style. 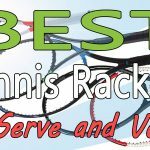 This post looks back and celebrates the five greatest serve and volley players of the modern era: John McEnroe, Martina Navratilova, Stefan Edberg, Pete Sampras and Patrick Rafter. I came of age in the 1980s, when the players mentioned in this post were near or at their peak. I loved watching the tenacity of McEnroe, the precision volleying of Edberg and the never-quit fight in Navratilova. It was a different game back in the 80s. The courts were faster and racquet technology did not allow for the huge groundstrokes we see today. These two factors directly contributed to the decline of the serve and volley game in pro tennis over the last generation. Sadly, only one true serve and volley player in the top 100 of the men’s tennis game exists today: Mischa Zverev. 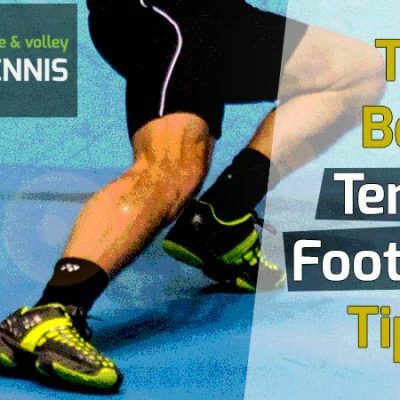 The serve and volley game is much more difficult to master than the baseline game, which is why so few players have been able to use it. At the highest levels of tennis, it requires supreme athleticism, incredible hands and great anticipation. Only the bravest players would venture to the net, where one wrong move could spell the end of the point, or worse yet, being pelted by a screaming groundstroke. Such players moved with a style and grace befitting a ballerina, performing magic with their racquets and enchanting us all. Some of the most brilliant shots the game has ever seen are those hit by the great serve and volley players in the open era. While we couldn’t include them all, we narrowed it down to these five. Let’s take a look at them now. Without a doubt, the United States’ John McEnroe was one of the most difficult players to go up against in tennis history. His lefty serve, in which he contorted his body so much that his serve was completely disguised, and his tremendous volley game gave the opposition fits. 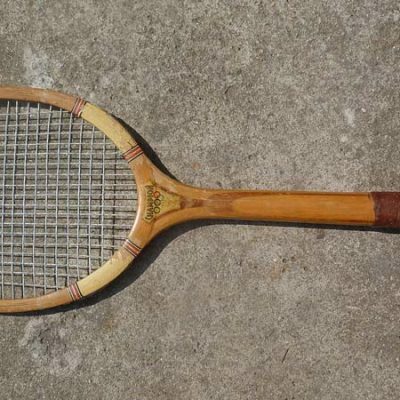 When McEnroe started playing tennis in the 1970s, racquets were made of wood, and the heads were a lot smaller too. 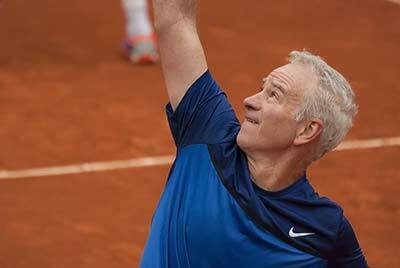 But that didn’t stop McEnroe from developing one of the best serve and volley games the world has ever seen. The snarling McEnroe was known for his tenacity and quick outbursts. He always felt he was right about every line call and fought hard for every point of the match. Nobody wanted to win more than Johnny Mac and I loved that about him. 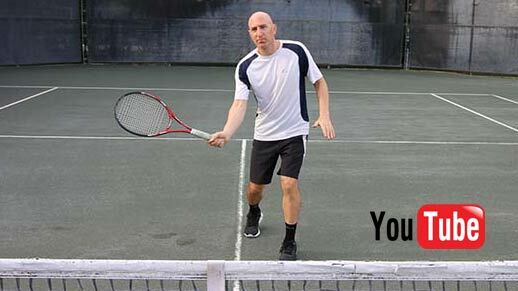 McEnroe’s charging style put fear in the hearts of baseliners all across tennis. In 1984, McEnroe began the year with a 42-match win streak and ended the year with an insane 82-3 record. 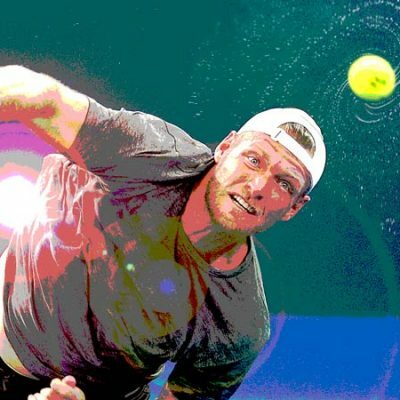 As of the writing of this post (September 2018), it’s still a record for the highest single season win rate in men’s pro tennis. Imagine how difficult it was to face his skidding lefty serve followed up by a crisp volley that would often end the point a second later. Even today, McEnroe still charges the net successfully on the PowerShare Series of men’s tennis. 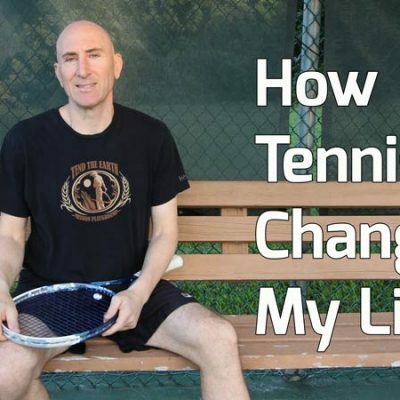 This is a circuit of former pro tennis greats who play in different venues across the U.S. Often, McEnroe faces off against younger foes and defeats them using his unique serve and volley game. I truly believe that if McEnroe (at age 60) played the top women in today’s professional game, he would do quite well. He may not win, but he could definitely hold his own and win his share of points. 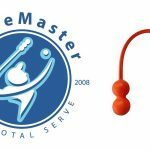 Most baseliners today have never had to even play a serious serve and volleyer. They wouldn’t know what to do with Mac. McEnroe still remains a crowd favorite to watch, and love him or hate him, you have to admit that he was right up there as one of the best serve and volleyers ever to take the court. His accomplishments and record speak for itself. In his 16-year career he compiled 7 major singles titles, 9 major doubles title, achieved a #1 ranking in both singles and doubles and had a career winning percentage in singles of 81.65% and 83.73% in doubles! Few players in tennis, either male or female, will ever approach that level of success. 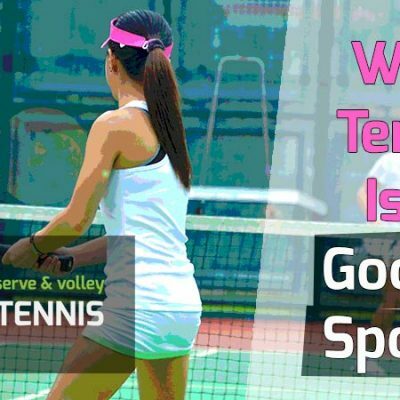 You can count the great serve and volley players that existed in men’s tennis on the fingers of your two hands, and in women’s tennis it was even more rare, with just Martina Navratilova, Margaret Court and Billie Jean King as the only three to make the cut. Perhaps this alone makes Navratilova one of the most special female players of all time – not to mention that she holds so many records it would fill this entire article with her accolades. While many players were content to hammer it out from the baseline, Navratilova decided early on to make the serve and volley her style of choice. She relentlessly powered to the net earning her a total of 31 combined singles and doubles major titles in her career. In 1983, Navratilova did the unthinkable and finished the year with an 86-1 record – even better than McEnroe’s year in 1984! I believe such greatness in one year will never be matched by any player – female or male. In that year, Navratilova’s only loss came in the fourth round of the French Open. She went on in 1983 to capture Wimbledon, the U.S. Open and Australian Open titles, making it the best year of her storied career. To date no baseline player has ever achieved the winning percentage McEnroe and Navratilova posted in their finest years. 1987 was another great year for Navratilova. She reached the final of all four majors and won two of them: Wimbledon and the U.S. Open. During the U.S. Open in ‘87, she achieved the very rare “triple crown” of tennis. This happens when a player wins three titles at one major: singles, doubles and mixed doubles. Only Margaret Court and Billie Jean King had completed the triple crown in the open era and nobody has achieved it since Navratilova did. Navratilova set another record in 2004, when at the age of 47 years and eight months, she entered Wimbledon for the last time as a wildcard and defeated her much younger opponent 6-0, 6-1. With that win, she became the oldest player in the open era to win a singles match. She lost her second round match in a tough three-set match but showed that the serve and volley game is still formidable enough to compete with players 20 years younger. 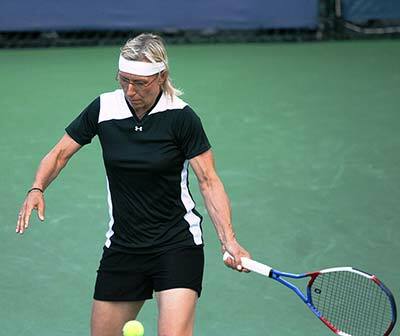 Without a doubt, Navratilova is one of the best players to ever take the court. Her tremendous pressing serve and volley style and soft hands was responsible for her remarkable success in singles and doubles. Without the serve and volley game, it’s highly doubtful Navratilova would have been as accomplished. I would absolutely love to see how she would fare against today’s powerful baseliners if she was still in her prime. Edberg was, in many people’s opinion, the purest and best serve and volley player of all time. He played at the right time for his attacking style (during the 1980s and early 90s) when the courts were fast. 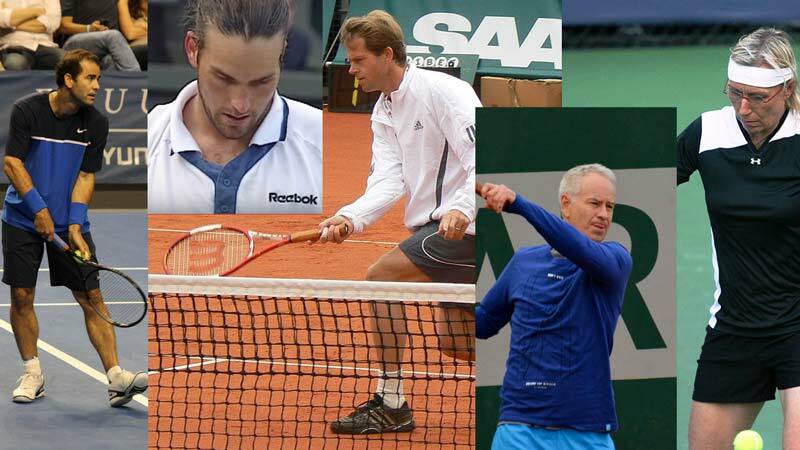 While other serve and volley players relied on huge serves and excellent forehands to aid their net game, Edberg had neither a big serve nor a good forehand. Edberg preferred to hit his serve with spin, rather than pace, which meant it took longer to reach the returner. This allowed him to move further into the net, from where he could exact the perfect volley. Edberg’s forehand was considered below average for a tour level player but his one-handed backhand was among the best of his era. Whenever I watched Edberg, I thought of grace under fire. He had such a cool and calculating style and would press his opponent mercifully with the serve and volley game. If he was only a baseliner, he probably would have been nothing but a journeyman player, with no chance to win a major. But the serve and volley game lifted Edberg to lofty heights. So lofty indeed, that he won 74.79% of his singles matches over his career, earned six major titles in singles and was the #1 player in the world for 72 weeks in the years 1990-92. 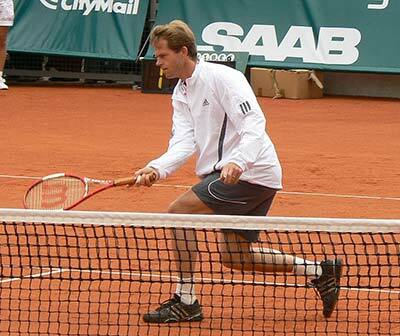 If you want to learn the serve and volley game, there is no finer player to watch than Stefan Edberg. Go back and watch how he approached the net and the precision of his volleys. Take note of his footwork and how he set up for his second volley. When you talk about the best pure serve and volleyers of all time, nobody played it at a higher level than Edberg. 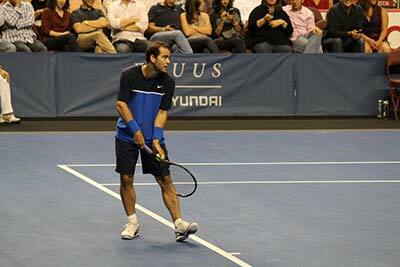 Unlike Edberg and McEnroe, Sampras relied on a huge serve to set up his volleys. Sampras’s volley technique was excellent, as was his overheads and athleticism. He also brought to the table an excellent forehand and good one-handed backhand and slice. Sampras’s all-around talent enabled him to win 14 major titles, which was a record when he set it by winning the U.S. Open in 2002. Early in Sampras’s career, he preferred to hang back at the baseline and come to the net to put away short balls and easy shots. But as his game progressed, he grew more aggressive, coming to net brilliantly, especially at Wimbledon, which he won seven times, never losing in the finals. Sampras also won the U.S. Open five times; fast surfaces definitely favored his strong serve and volley game. As of the writing of this post, Sampras is one of only three players to ever win a major in his teen years, his 20s and in his 30s. The only two other players to have accomplished this are Ken Rosewall and Rafael Nadal. 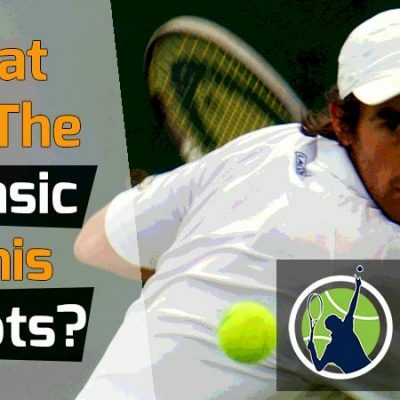 While Sampras was not very outspoken or flamboyant on court, his play spoke for itself and he used every bit of his athletic ability and 6’2” frame to cover the court like a blanket. Sampras’s main rival was Andre Agassi, who had a colorful personality and flair for the dramatic. The clash of styles (serve and volleyer vs baseliner) created some of the most memorable matches of all time, like their epic 1995 U.S. Open meeting, where Sampras took the match in four sets. Sampras won 20 of the 34 meetings against Agassi, who was considered the best ball striker of all time up until he retired. If Sampras had been a pure baseliner and never served and volleyed, he undoubtedly would have lost more times than not against Agassi. He also would not have won as many majors. But the serve and volley game put Sampras head and shoulders above his peers and his main rival. 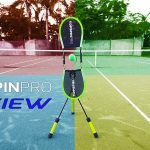 It was the perfect weapon, often dismantling the competition and the hard-hitting Agassi – a task very few could do when Agassi was at the top of his game. You may be wondering why I chose to put Patrick Rafter on this list of storied players. His name is not known outside tennis circles and he doesn’t boast a long list of accomplishments like McEnroe, Navratilova or Sampras. In fact, he lost 12 of his 16 matches to Sampras and never lived up to his true potential, partly because of injuries. A light-hearted Australian who was known for wearing a pony tail and white zinc oxide on his face, Rafter was a likeable personality and dogged competitor. The formidable Rafter used his natural serve and volley style to win back-to-back U.S. Open titles in 1997 and ’98. He also achieved a world #1 ranking very briefly in 1999. 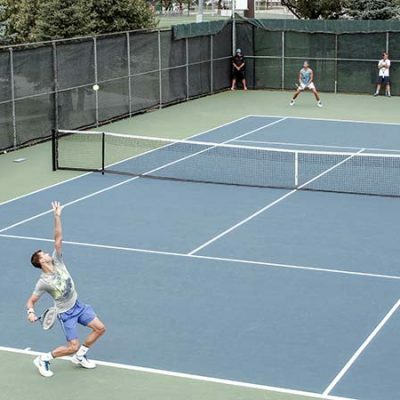 Rafter was one of the most aggressive serve and volley players of all time and when he was at his peak during those U.S. Open wins, it seemed like he was covering every square inch of the court. I remember watching him play during those years and thinking, “my gosh, how does anyone stand a chance against this guy?” In 2000 and 2001, Rafter made it to the Wimbledon finals but lost to Sampras and Goran Ivanisevic, respectively. The Ivanisevic match was very close and Rafter lost it in the fifth set 9-7. To this day, Rafter remains one of my favorite serve and volley players to go back and watch. It should also be noted that Rafter had an unbeaten record against the great Roger Federer (3-0). He used his attacking serve and volley style to best Federer on three surfaces – clay, hard court and grass. 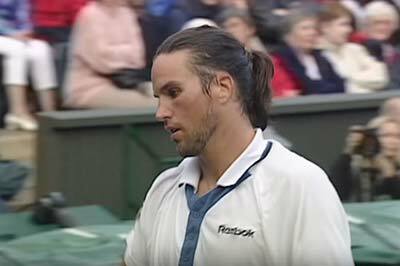 Sadly, Rafter played his last professional match in December of 2001, retiring at the age of 29, which I feel was too young for someone of his ability. You may disagree with some of the players on my list, like Rafter, but you have to admit all of these players were tremendous serve and volley technicians. 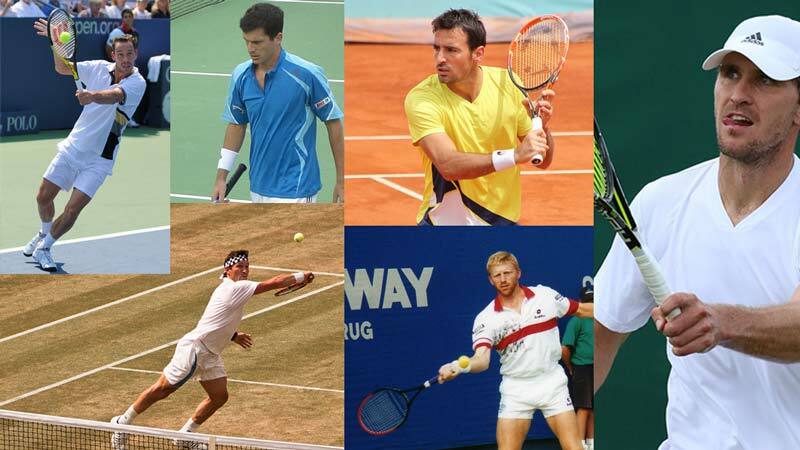 Not to leave out some of the other notable serve and volley players in the open era, I want to give honorable mention to Boris Becker, Tim Henman, Michael Stich, Richard Krajicek and Pat Cash. Becker is probably the most memorable player and I would put him as #6 on my list, even though he won more majors than Rafter. Becker’s huge serve, emphatic outbursts, and diving volley stabs at the net made him one of the most exciting players to watch. Over the last decade, I enjoyed seeing Michael Llodra and Ivan Dodig play. Neither plays singles any longer but they both possessed a pressing serve and volley style that was problematic for a lot of baseline players. The last serve and volley player in today’s game is Mischa Zverev. While he has not gone deeper than the quarterfinals of a major (2017 Australian Open), when he’s on top of his game, he can pose a threat to top 10 level players. 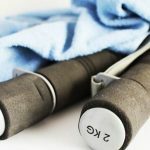 Although he’s approaching retirement age soon for a pro tennis player, he won his first ATP tour level title in 2018 (Eastbourne International). I believe another title could be in store for Zverev shortly.